Three miles from La Playita is the small beachfront estate community of La Laguna. 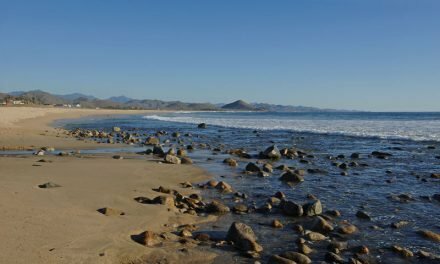 Heading east, across the arroyo and up the hill, is a turnoff to a beach that is usually deserted and is swimmable, with small geological fissures in the rock tidal pools not unlike mini hot tubs. Wander east down the beach to the rock out croppings, find your spot and enjoy.